A sufficient gaming laptop is composed of a powerful graphics card, a processor and enough RAM capacity. All of these components have a significant impact on the game play flow and the detail settings. 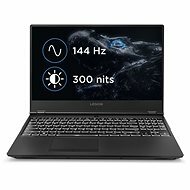 When choosing a gaming laptop, you need to consider how often you'll be carrying it and the display size. 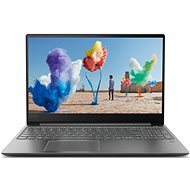 How can you choose an ideal laptop? The graphics card is the most important component in a gaming laptop. Most graphics cards cannot be upgraded, so it is very important to think ahead and invest a little more into it. It should always be dedicated - independent, and not integrated. GeForce GTX Series - the most powerful lineup for demanding gaming. Geforce GT Series - ideal for multimedia use or less demanding games. AMD Radeon R9 - powerful graphics cards for challenging gaming. AMD Radeon R7 - suitable for new games in middle detail settings. AMD Radeon R5 - graphics cards for older or less demanding games. Like NVIDIA and AMD graphics cards, the higher the model card number, the more powerful the graphics card. For example, the GeForce GTX 980M is more powerful than its predecessor, the GTX 965M. The processor is the second most important component of a gaming laptop. The Intel Core i7 processors are among the most powerful ones and will make new games run with ease. For less demanding games, a processor like the Intel Core i5 will suffice. Intel's 6th generation processors feature Skylake architecture. The latest is the 7th Generation Kaby Lake, which offers higher frequencies and lower power consumption. For demanding gaming, the ideal memory size is 16 to 32GB of RAM. Less demanding players will be satisfied with 4 to 8GB of RAM. When selecting the total number of slots, it's also important to compare that number with how many you'll be using. 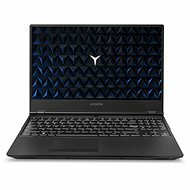 If there are free slots available in the laptop, additional modules can be purchased at any time and memory space can be expanded. 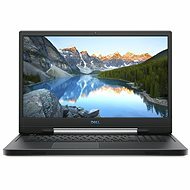 A powerful gaming laptop should have about 1TB of HDD to hold as many games as possible. Also, a fast SSD with at least 128GB is ideal for smooth operating system performance. For less demanding players, a basic 500GB HDD will suffice. 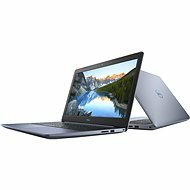 The screen size depends on how you will be using the gaming laptop. If you plan on carrying your laptop a lot, it is worthwhile to choose a display size of 14 " and smaller. The laptop will be more compact and lighter in weight. A display size of 15.6 " and more is a good fit when you plan on using your gaming laptop as a desktop PC. The higher the resolution, the finer the graphics. 4K - the highest resolution possible. Designed for demanding players. Full HD - today's standard resolution for regular players. 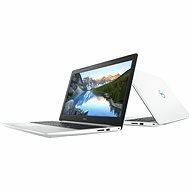 HD - for cheaper gaming laptops; suitable for casual gaming. A gaming mouse or keyboard can be connected to a gaming laptop. If the display size isn't enough for you, an external monitor can be connected - most often via an HDMI, a mini DisplayPort or a USB-C. Speakers or gaming headphones can also be connected for better sound quality. 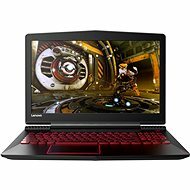 What Else Should You Consider When Selecting a Gaming Laptop? Backlit Keyboard - playing at night will be much easier and stylish with a backlit keyboard. Fingerprint Reader - a fingerprint reader will safely protect your data. Optical Drive - though it's becoming less popular today, consider if you might use one. 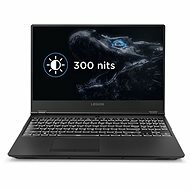 The notion that laptops are just for work and you need a powerful desktop computer to play games is long gone. 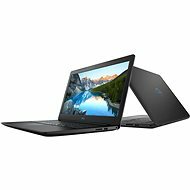 All brands including the top ones such as ASUS, Dell, and Lenovo offer extremely powerful laptops, designed specifically for playing the latest and most demanding games. Choose from our wide range of gaming notebooks and enjoy the combination of high performance and portability. 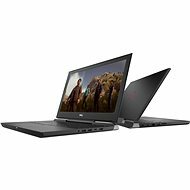 Gaming laptops are very sophisticated devices and they don’t in any way lag behind their desktop counterparts. Equipped with powerful processors and high-performance graphics – including options for multiple graphics cards – you’re bound to enjoy a smooth experience with your favorite games. You can further enhance your gaming laptop by a quality gaming mouse and many other accessories.